Welcome to your number one destination for all things Chevrolet! Looking for great new Chevy trucks for sale? Tired of the other dealerships in the area? We invite you to come down to DePaula Chevrolet right here in Albany, NY, and discover the endless quality options for your new truck buying needs. At DePaula Chevrolet, we are proud of what our dealership has been able to help new car buyers accomplish over the past several decades. With a full inventory of the newest and best-equipped Chevy trucks for sale in the entire northeast, DePaula Chevrolet wants you to come down and discover all that our award-winning dealership has to offer. We have great deals on the newest Chevrolet trucks, outfitted to fit your hard-working spirit perfectly. The new 2017 Chevrolet Silverado High Country is the ideal vehicle for the working professional who wants a truck to be as powerful as he or she is. With a performance-enhanced 6.2-liter V8 EcoTec3 engine, the Silverado High Country embodies all of the latest technology and adrenaline-pumping power available for 2017. Its aggressive front end and exterior shape is a reminder to other vehicles on the road just how powerful it truly is. Work hard during the day with all of the capabilities you would expect from a Chevy truck, and play hard at night with the most luxurious in-vehicle amenities that will keep you stylish no matter where you are headed. The 2017 Silverado High Country is a true embodiment of the hard working nature that so many Albany, NY residents possess, and is available for you to drive home in today at DePaula Chevrolet. The Chevrolet Silverado lineup offers many different options in terms of power and in-vehicle amenities, making it the perfect full-size pickup to customize for your unique needs. From the light duty 1500, to the super duty Silverado 3500HD, there is a Chevy pickup perfectly suited to even the most discerning eye. If power, performance, luxury, and industry-leading technology are important to you in your next truck, then a Chevrolet pickup is the answer you have been waiting for. For drivers who seek a smaller pickup, the new 2016 Chevrolet Colorado is a great choice. Without having to sacrifice the capability and versatility that drivers have come to expect from Chevy trucks, the Colorado offers buyers a more affordable option for new pickup truck ownership. Named Motor Trend’s “Truck of the Year” multiple times in recent years, the Chevy Colorado has made a strong and worthy comeback to the pickup truck segment. Here at DePaula Chevrolet, we are proud to carry a diverse inventory of new Chevy Colorado models, and would love to take you for a test drive and show off this truck’s many capabilities. Just because a pickup is smaller in size, does not mean it can’t play just as hard as the big boys do. The Colorado is a mid-size pickup that has redefined the public’s perception of what these smaller trucks are capable of accomplishing. The Chevrolet brand is no stranger to performance. The automotive manufacturer that introduced the world to the powerful Chevrolet Corvette, is the same company that has put forth great effort in building the most performance-enhanced pickups on the market. 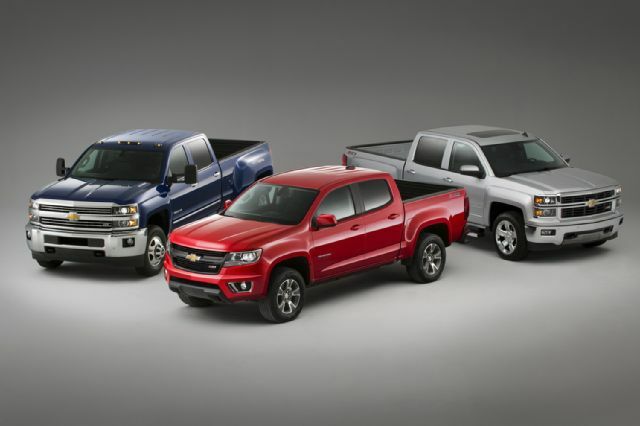 Every new Chevy truck is built from high-strength steel to ensure lasting durability. Fully boxed frames with innovative cargo beds make loading, hauling, and unloading a breeze. With a maximum towing rating of up to 23,200 pounds, it is no wonder that pickup truck drivers flock to the American brand they know they can trust. DePaula Chevrolet is proud to be a part of Chevy’s mission to engineer and manufacture the most powerful pickups on the road, and we are honored to sell them to the hard-working people of Albany, NY, and the surrounding communities. Just as Chevrolet had to prove its worth in the pickup truck segment in order to win your trust, so has our Chevrolet dealership. DePaula Chevrolet has worked hard over many decades in order to deliver exceptional service to all of our customers without fail. Our unwavering dedication has earned us recognition from General Motors in the form of various awards and accolades. DePaula Chevrolet has been a staple in the Albany, NY community since we first opened our doors, and our mission to providing our customers with high quality service and dedication will continue for several decades to come. When you put your trust in a dealership that is reputable, well-established, and has a proven track record of success, you truly cannot go wrong. When you come to DePaula Chevrolet for your vehicle needs, you will be treated to top notch customer service in all areas of our facility. From our state of the art service center, to our showroom floor, to our finance department – every bit of your experience with us will be a positive one. Whether you are here to purchase a new truck, or have work done on your current vehicle, DePaula Chevrolet invites you to take advantage of our many customer-focused amenities. From a free shuttle service to and from your home while your car is being worked on, to a comparably equipped loaner vehicle if your car requires more extensive work with us – DePaula Chevrolet has you covered. Everyone who visits our dealership will have access to complimentary Wi-Fi, and working professionals can make use of our semi-private work stations designed to keep you on task even when you can’t make it to the office. Even your little ones will enjoy their visits to DePaula Chevrolet, thanks to our fun and exciting children’s play area. Everyone who brings their vehicles in to DePaula Chevrolet for service will receive a complimentary car wash. Not only will you leave with a properly maintained vehicle, you will be the envy of all the other drivers on the road who simply can’t find the time to have their cars or trucks washed. DePaula Chevrolet knows that in a new car dealership, every detail matters. While a fun children’s play area and free coffee may seem insignificant, these little things can make the day of a customer whose child has had a bad day, and can mean the world to a car shopper who ran out the door without grabbing a morning cup of java. DePaula Chevrolet wants every person who comes through our doors to have an enjoyable experience, regardless of whether they purchase a vehicle with us. The inventory of new trucks for sale here at DePaula Chevrolet is constantly changing in order to best meet the needs of our customers. You can check out our inventory of new trucks, cars, and SUVs from the Chevrolet brand right on our website, twenty-four hours a day. If you don’t see what it is you are looking for, give us a call at 518-278-6036. Our dedicated team members will work diligently to find you the exact Chevy truck you are looking for, and bring it to our dealership in Albany for you to pick up. Stronger than our desire to sell cars, here at DePaula Chevrolet, we want to exceed all of your expectations of what a new car buying experience should be like. 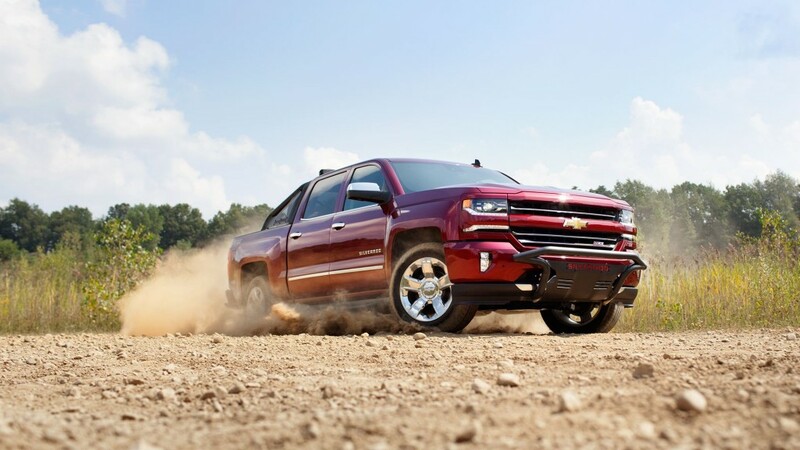 Come down today, and discover the countless options of new Chevy trucks for you to take for a test drive. We can’t wait to show you around!